Very good trip into Mexico, Everything was arranged and orderly. All you had to do was show up and hunt. I couldn’t have asked for more. Very friendly, knowledgeable, helpful, caring, Best hunt I ever had. Very good trip into Mexico, Everything was arranged and orderly. All you had to do was show up and hunt. And try and decide which was the best shooter. We hunted on large private 100,000 acre plus ranches. Very remote locations, many miles of good gravel roads. It is Mexico, so some times you were limited to generator produce electricity. Good Beds, everything worked well, great authentic Mexican food, guides were caring friendly and spoke good English. Hunting from High Rack pickup trucks, I saw on average I guess, 50-plus mule deer a day. I saw five 180″ or so deer, more than fifty 150″ young bucks coming on in the next few years. Great potential for next coming years. With the feeders and water they are putting out it will only get better. My consultant’s communication before, during and after the trip was perfect, I couldn’t have asked for more. 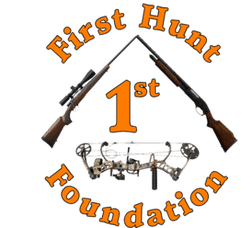 Very friendly, knowledgeable, helpful, caring, Best hunt I ever had.